Stats include consumer confidence in mobile commerce, mobile use in Australia, Instagram, online sales in February and luxury brand mobile apps. Carousels on ecommerce sites: are they worth bothering with? 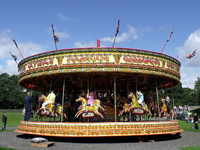 Carousels on ecommerce sites are now commonplace, but are they useful for retailers? In theory, they offer a chance for sites to put multiple messages in prime postion on homepage, but there are drawbacks. Despite the hullaballoo over the change in its terms and conditions, Instagram hasn’t yet folded under the weight of people stampeding for the exit. And as with any social network that boasts million of users, brands have quickly moved in to try and use the platform as a way of extending their reach among consumers. According to stats from Simply Measured more than half of the Interbrand 100 now uses Instagram, and we’ve previously looked at nine brands making great use of Instagram, plus one that isn’t. One of the most common tactics for starting conversations with users and driving up follower numbers is to hold a photo competition.